Expecting? Request a Prenatal Consultation. 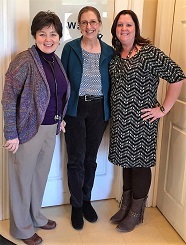 Welcome to Royal Oak Pediatrics, your experienced and caring pediatricians in Smyth County, Virginia! If you are looking for accessible pediatric care, a child-friendly environment, and a responsive team of pediatricians and nurse practitioners in Marion, then look no further. We love kids, and our goal is to have a positive impact in the lives of children by providing exceptional health care and compassionate service to the families we serve. To achieve this goal, we offer convenient office hours, helpful patient resources, and an outstanding level of support and expertise. 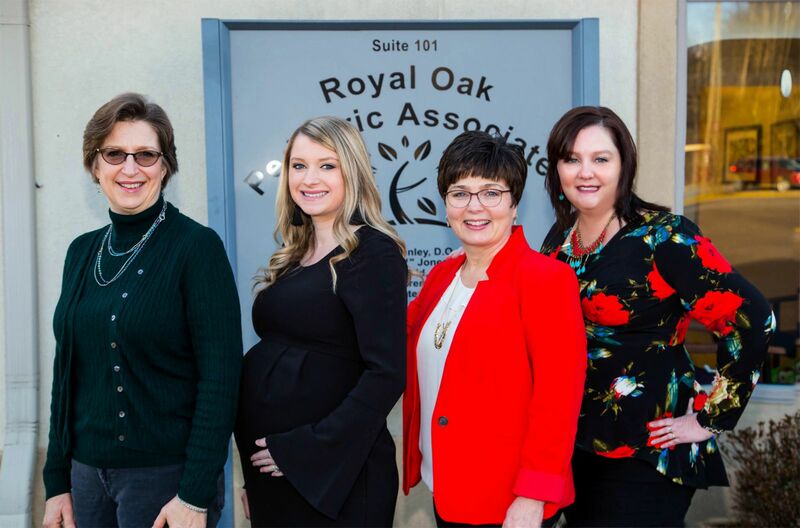 At Royal Oak Pediatrics, our skilled team of pediatric doctors and nurse practitioners offers comprehensive medical care from infancy through adolescence. This includes prenatal visits for expecting parents, preventive care such as well-child check-ups and immunizations, Child Diagnosis and Treatment, Behavioral Health, School and Sports Physicals, Newborn Care to treatment of acute and chronic illnesses. Whether it's your child's first visit to our office or just a routine visit, our courteous and knowledgeable staff will strive to make sure you and your child are always comfortable and informed. We take the time to talk with parents and patients to help them understand their needs and equip them with the knowledge necessary for promoting a lifetime of optimal health and wellness for the entire family. We believe that exceptional care is obtained when there is an on-going relationship between the doctor and patient. We want to be lifelong partners in your child's health! To help you get acquainted with our practice, we have provided the important information you need on our website. Please browse these pages to learn more about our skilled doctors, services, office details, commonly asked questions, new patient and commonly used forms, and even how to request an appointment. We want to thank you for choosing Royal Oak Pediatrics for your child's medical care and welcome you to our practice. Our friendly and highly knowledgeable staff is available to support and assist you with any questions or concerns you may have. "Been going since I was a child and now I take my children there I trust these people with my life!!! Awesome group of Doctors and Nurses wouldn't ever go anywhere else.."
Anita B. Henley, DO is a board-certified pediatrician who brings a comprehensive yet individualistic approach to Royal Oak Pediatrics. To find out more about Anita B. Henley, DO, visit the link provided below. Rebecca Ewald attended Roanoke Memorial Hospital School of Professional Nursing to earn her nursing degree. She worked at Smyth County Community Hospital and then at Smyth County Health Department as the WIC Nurse. Dr. Lawrence is the daughter if Paul and Tissie Greer and is a hometown girl who graduated from Marion Senior High School. Dr. Etter grew up in Tazewell, VA. After high school, she attended Virginia Tech, where she received a BS in Biology. Dr. Etter remained in Blacksburg for medical school, attending Edward Via Virginia College of Osteopathic Medicine.